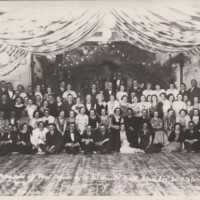 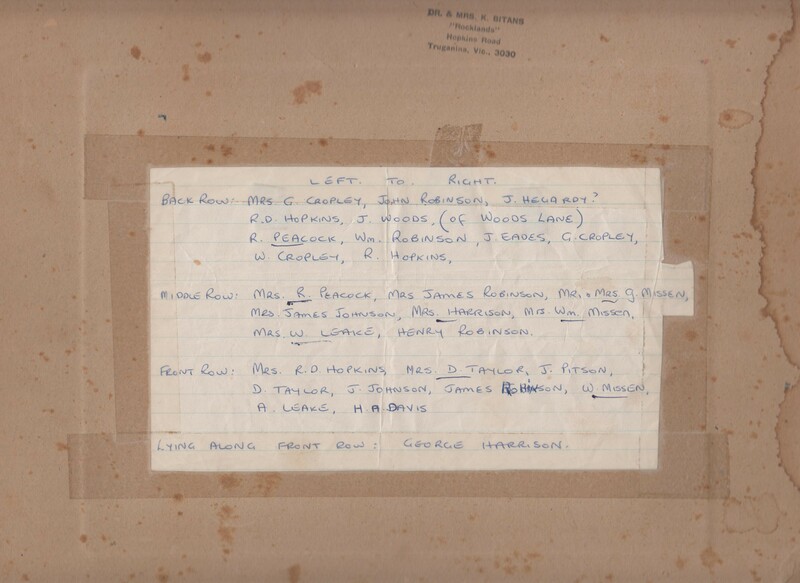 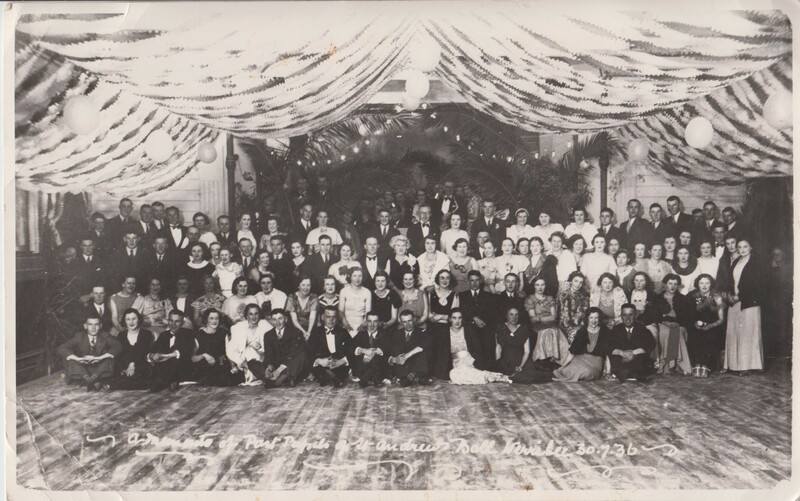 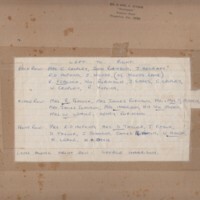 A memento of past pupils of St. Andrew's Ball, Werribee 30 July 1936. 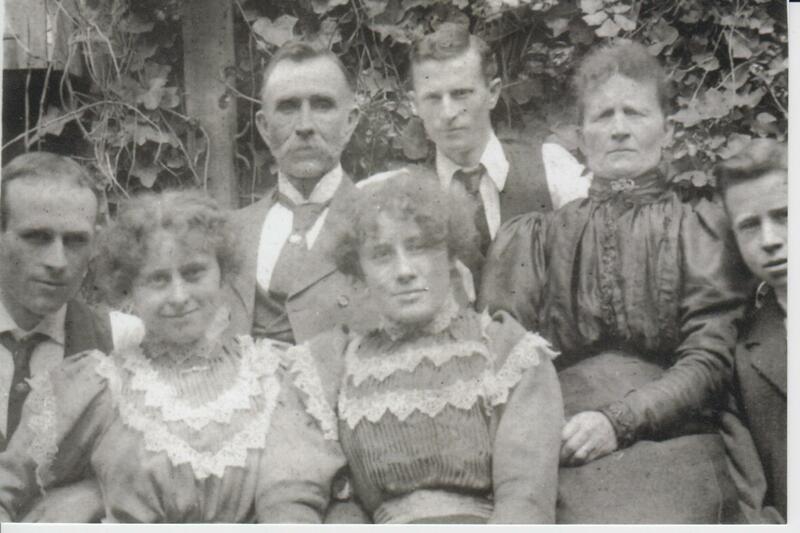 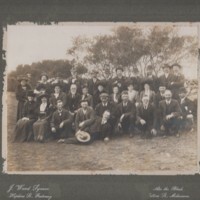 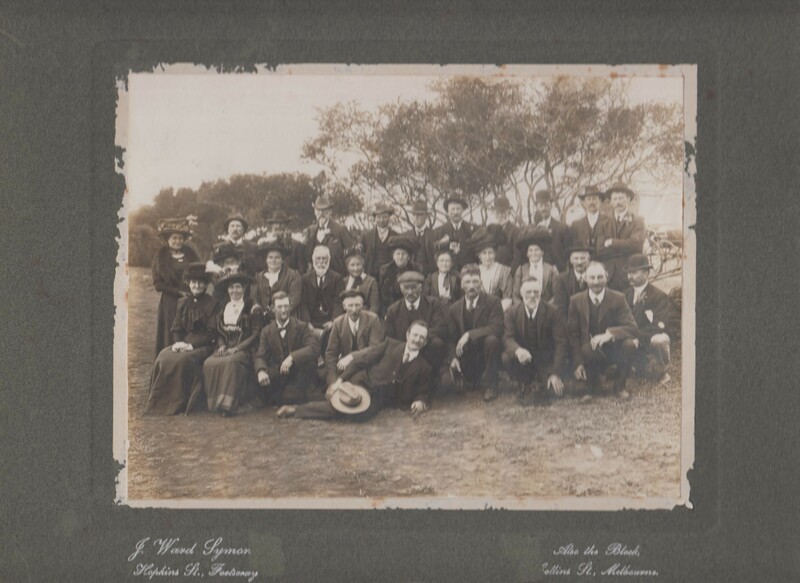 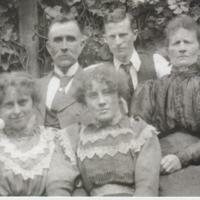 Back row: William Thompson Muir and wife Jane Muir with John Muir.Front row: Horrie Muir, Victoria Muir, Adeline Muir, Norman Muir. 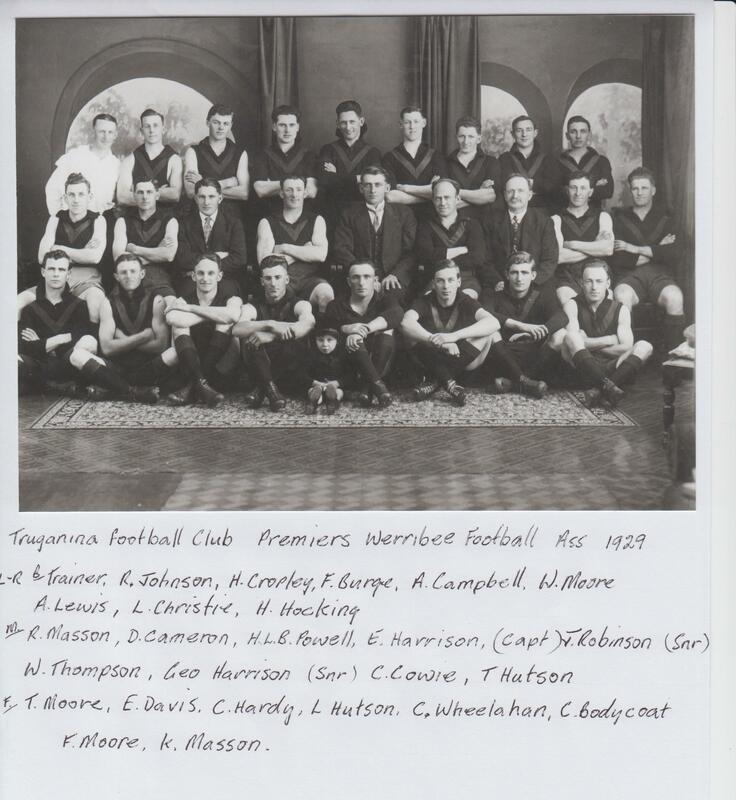 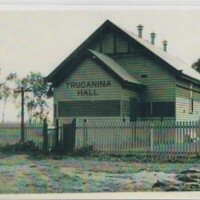 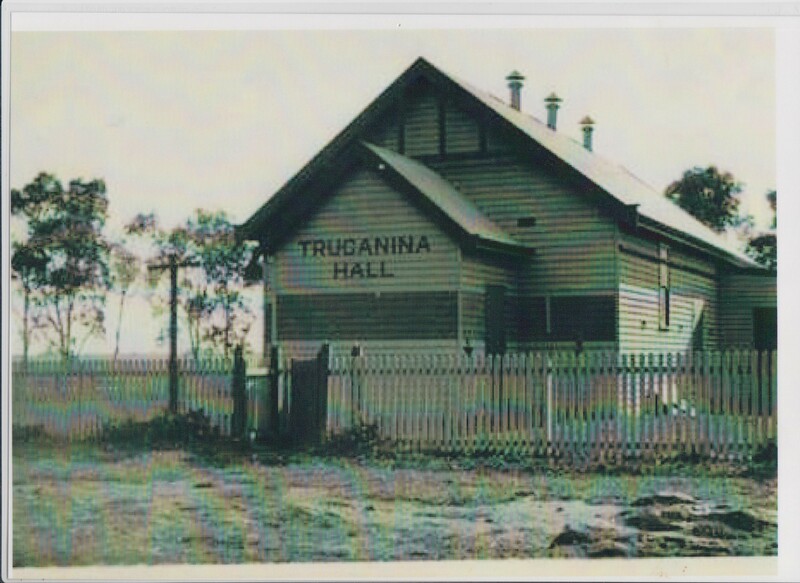 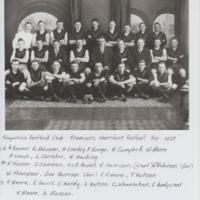 Truganina Football Club Premiers 1929. 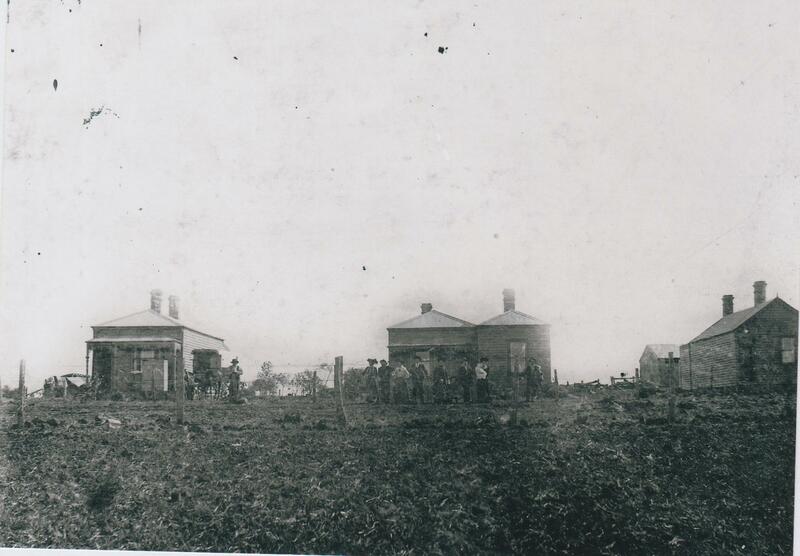 Three Davis homes on Cowie's Hill. 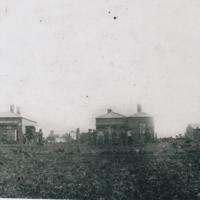 Three Davis homes on Cowies Hill. 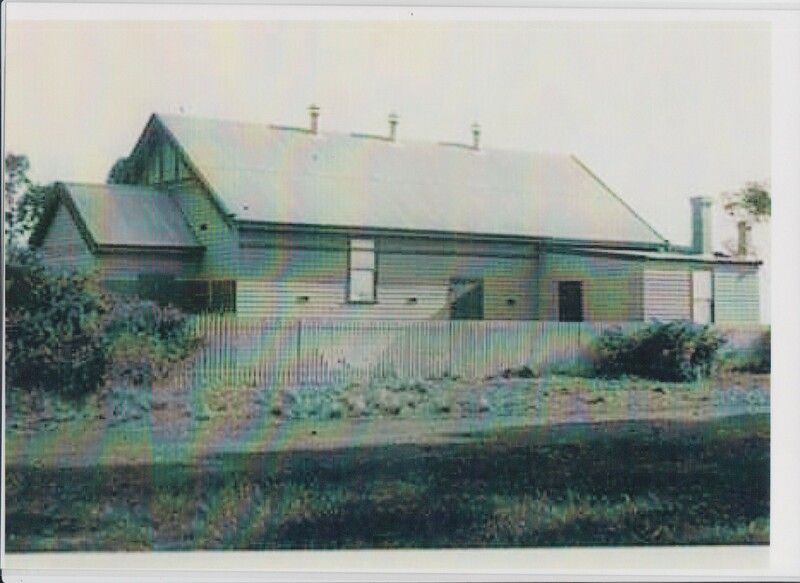 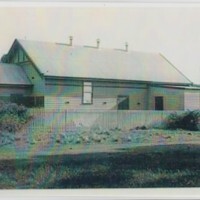 The house on the left is the original Davis house which was moved to Werribee in 1904. 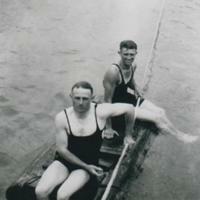 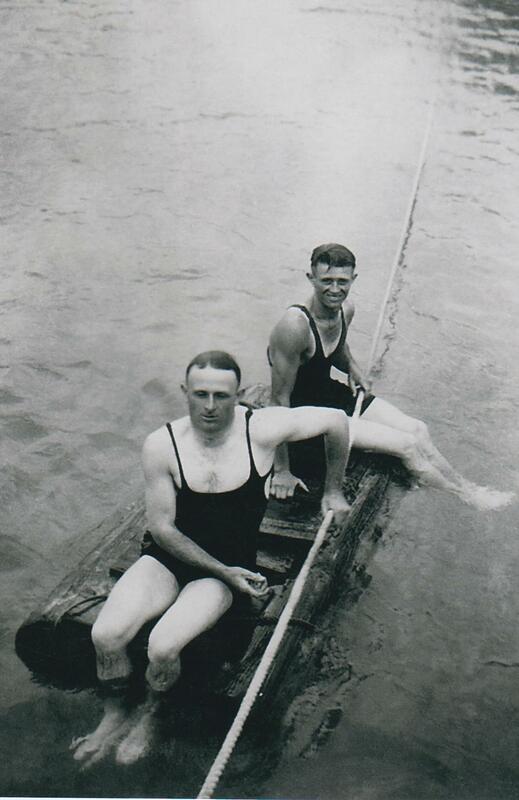 Horrie Davis and Eric Davis on the river at Hackets 1928. 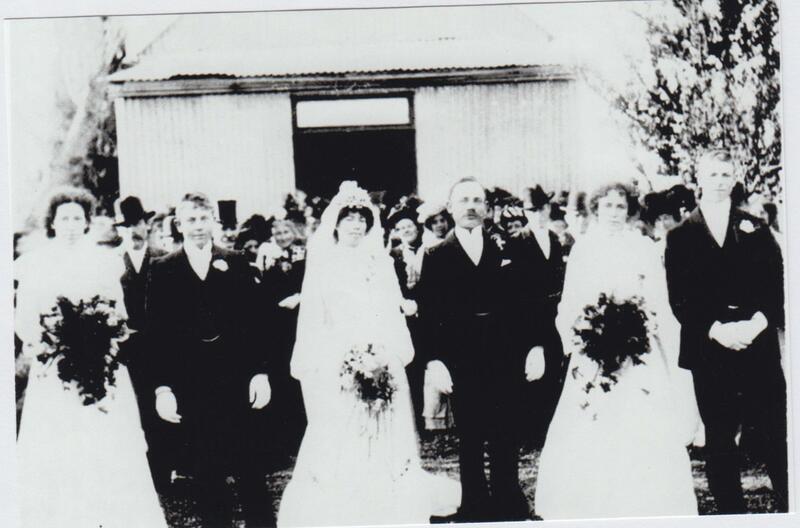 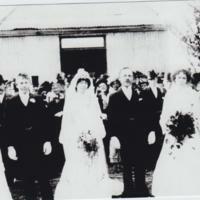 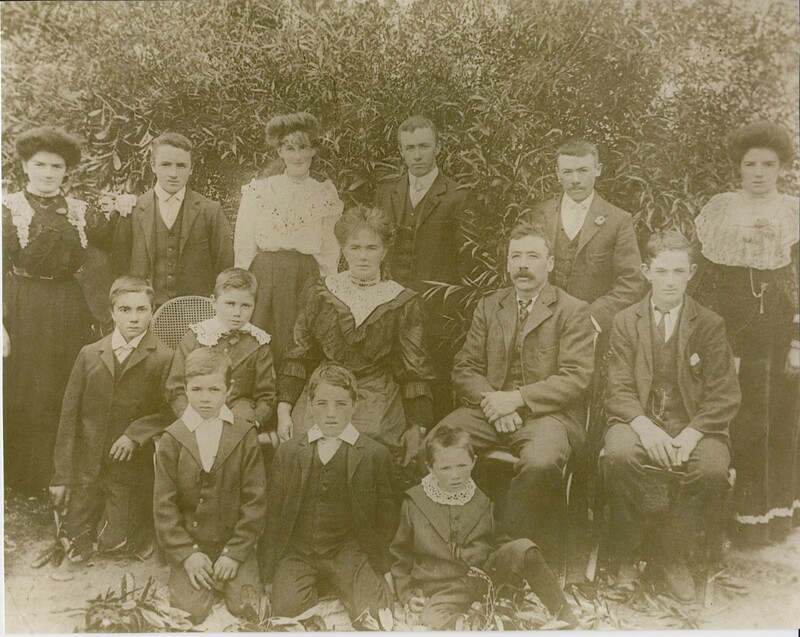 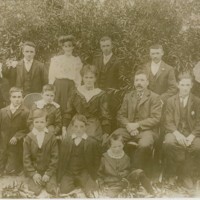 Wedding party of Percy and Bertha Davis (nee Davis) on Wednesday 20 August 1902.An article appeared in the Bacchus Marsh Express on 23 August 1902 giving a description of the wedding party and festivities. 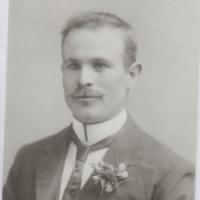 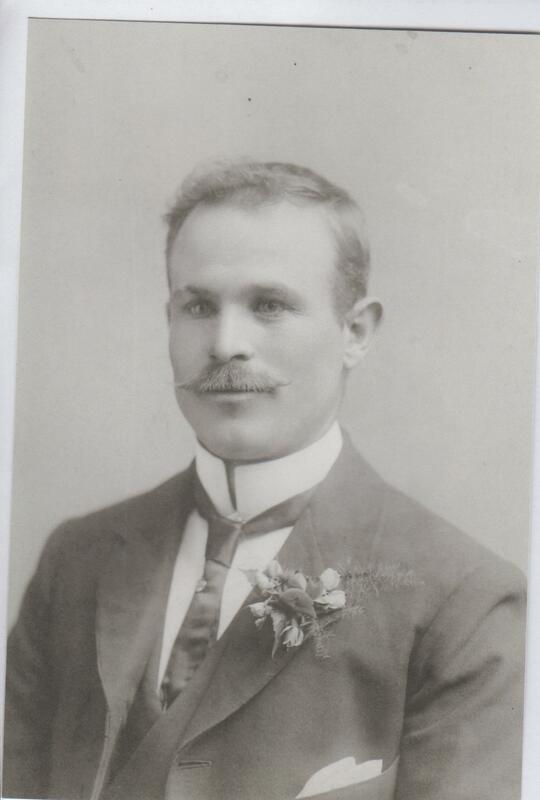 Frederick Davis - 1 May 1875 to 24 August 1961.